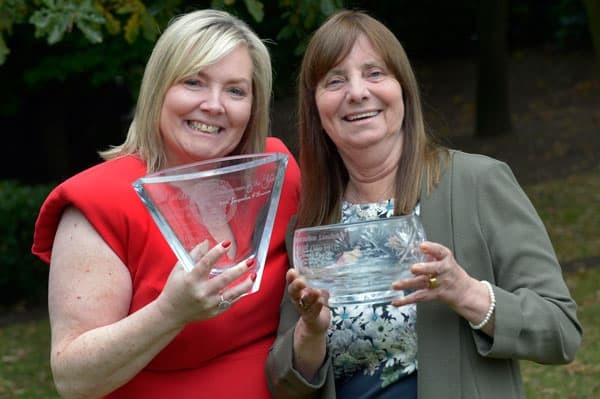 Hillsborough campaigner Margaret Aspinall named Woman of Achievement and Jacqueline O’Donovan named Business Woman of the Year at glittering award ceremony. Margaret Aspinall CBE has scooped the Woman of Achievement Award at a gala award ceremony held in Birmingham today, in support of national disability charity Revitalise and Tomorrow’s People. Liverpool woman Margaret, who lost her son James 27 years ago in the Hillsborough disaster of 1989, received the esteemed award in recognition of her tireless campaigning for justice for the family and friends of the 96 people who lost their lives. Also celebrated at the awards was London-based business woman Jacqueline O’Donovan, Managing Director of O’Donovan Waste Disposal Ltd, who was awarded the 2016 Business Woman of the Year Award in recognition of her leadership of the company. Guest speakers at the event included last year’s Woman of Achievement Baroness Helen Newlove and Tracy Lewis, a successful retail management and business entrepreneur, who was later interviewed by Nick Owen of BBC Midlands News. Former winners of the Woman of Courage or Achievement Award include Martine Wright who overcame the horrific loss of both of her legs in the 7/7 terrorist bombings of 2005 to rebuild her life and compete at the London 2012 Paralympics, and Katie Piper, whose personal story My Beautiful Face inspired millions. The 34th annual Women of the Year luncheon and awards ceremony took place at the Hilton Birmingham Metropole Hotel, NEC on 07 October 2016. Around 550 guests were treated to live entertainment from Morgan Hemphill and Richard Still before the presentation of the awards. Proceeds from the event will be divided between the two charities Revitalise and Tomorrow’s People. The Women of the Year Awards honour women’s outstanding individual achievement in all professions. In addition to the Woman of Achievement Award, the Businesswoman of the Year Award recognises outstanding achievement in the sphere of business and provides positive role models to encourage other women to enter the business arena. Revitalise has been a beneficiary of the awards since the event’s foundation.